LOS ANGELES (December 1, 2016) — Effective today, Paulo P. Lima, Ph.D. will serve as senior vice president and chair of the Arts & Culture Practice. Dr. Lima has held various roles in his 12 years with LAGRANT COMMUNICATIONS such as senior counselor and vice president, managing director, Hispanic Practice. In this newly created role, Dr. Lima will play an integral part in further driving the agency’s presence in the arts and culture industry. Dr. Lima offers a diverse range of experience to the Arts & Culture Practice. In addition to serving on the agency’s senior leadership team and his role as managing director for the agency’s Hispanic Practice, he also serves as the firm’s official photographer. For more than a decade, Dr. Lima has provided account management, strategic and creative counsel, community and media relations for clients including, Center Theatre Group (Ahmanson, Mark Taper and Kirk Douglas), Wallis Annenberg Center for the Performing Arts, The Pasadena Playhouse, Roy and Edna Disney/CalArts Theater (REDCAT), California African American Museum (CAAM), and more. The seasoned integrated marketing communications specialist has successfully executed projects for Center Theatre Group, The Wallis Annenberg Center for the Performing Arts, REDCAT and The Pasadena Playhouse. Relying on his experience in the field, his efforts drove an increase in ticket sales for productions such as The Trip to Bountiful, Ain’t Misbehavin, DanceBrazil, Satchmo at the Waldorf, Fly, Julia and Companhia Urbana de Dança. In addition, Dr. Lima played a key role in leading communication efforts for the California African American Museum, significantly raising the organization’s presence across Los Angeles. Most recently, he executed a private reception welcoming the newly appointed Santa Barbara County Arts Commission Executive Director Sarah York Rubin. 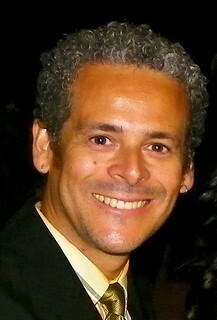 A Brazilian native, Dr. Lima also serves as the editorial director of Afro-Brazilian.com, the first website dedicated to bridging the gap between the African American and Afro-Brazilian cultures. As editorial director, he develops content and story ideas and sells digital ads. Prior to joining LAGRANT COMMUNICATIONS, Dr. Lima spent 12 years in the travel, tourism and hospitality industries, where he first served as customer service director for United Airlines in the São Paulo International Airport. After relocating to the United States, Dr. Lima continued his career in the hospitality industry with the Charter at Beaver Creek in Avon, Colo.
As an advocate for diversity and inclusion, Dr. Lima teaches a course titled “Diversity in American Drama” at Loyola Marymount University (LMU) in Los Angeles, where he is an adjunct professor. Dr. Lima has a doctorate in theater and performance studies from the University of California, Los Angeles (UCLA).